Item # 312289 Stash Points: 3,595 (?) This is the number of points you get in The Zumiez Stash for purchasing this item. Stash points are redeemable for exclusive rewards only available to Zumiez Stash members. To redeem your points check out the rewards catalog on thestash.zumiez.com. 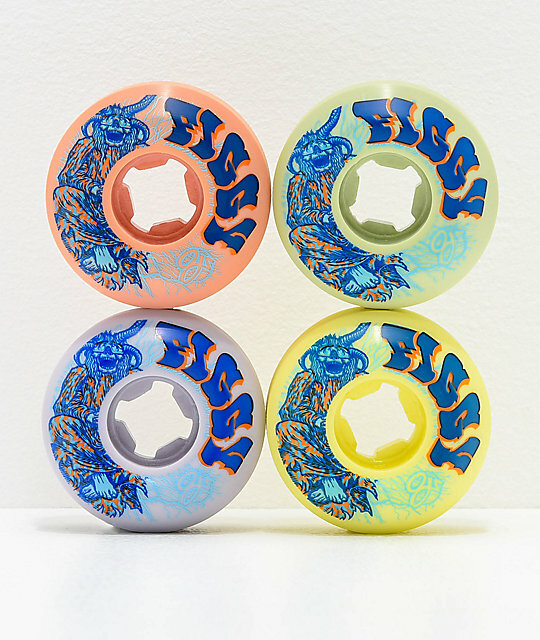 Treat yourself to a brand new set of pro model wheels with Figgy's Lightning 53mm 101a Elite Skateboard Wheels from OJ. 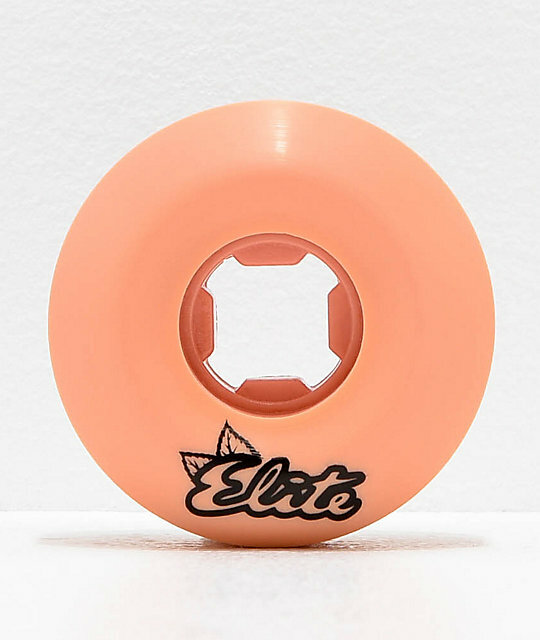 This colorful set of wheels come accented with custom graphics and are constructed from OJ's signature Elite urethane and their EZ Edge wheel shape for a slimmer profile that's been proven for easier grinding and superior speed across all surfaces. 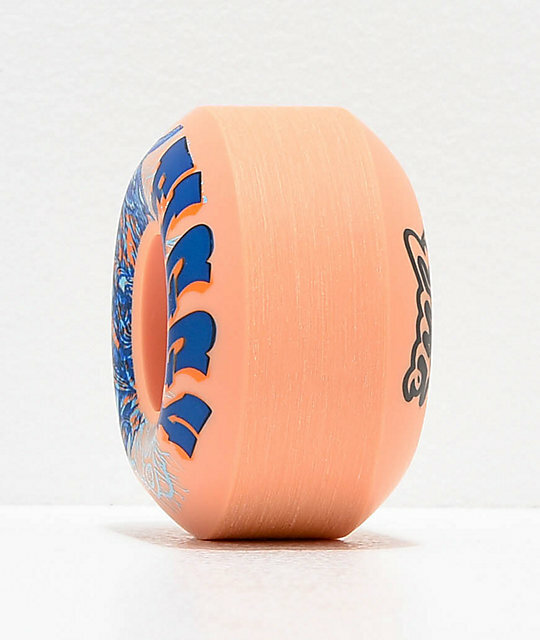 Figgy Lightning 53mm 101a Elite Skateboard Wheels from OJ. Signature Justin "Figgy" Figueroa pro model wheels. Includes 4 urethane wheels in pastel orange, green purple and yellow. 53mm sizing, 101a durometer rating. OJ's signature Elite urethane construction for speed. OJ's EZ Edge wheel shape for a slimmer profile for easy grinding.